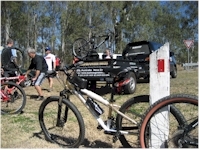 Bushranger Bikes local ride events program - February to June 2019 - Click Here! Download the program - here. **Media - Bushranger Bikes featured on Channel 7's Queensland Weekender with a focus on my new Southeast Queensland Whale Trail Cycling tour. For a peek at the promo and to find out about this tour click here. Tour Dates - June - July - August 2019. These are the magic cycling months in Queensland so join me for some awesome coastal adventure cycling! For all the details about this amazing new tour program click here! plus the details of a 'Short Break' option - here. Queensland, Victoria & NSW - Bushranger Bikes Tour Calendar - join Bushranger Bikes for the Cycling Tour of a life time! 2019 Tour dates: - June - July - August 2019. - 2018 was great fun - now it's time to look ahead to 2019 and there will be tour options in June, in July and August 2019 - enquire now. Please e-mail for more information. info@bushrangerbikes.com.au Southeast Queensland Coastal Cycling - the Bushranger Bikes Whale Trail Enquiries & bookings are being taken now! The new 5 day itinerary is fantastic and provides additional rides in Sydney - Narrabeen Lakes or Parramata, and Olympic Park to Botany Bay. Put this one on your adventure planner - 28 October to 1 November 2019- enquire now! Walking and Cycling Sydney & Wollongong Enquiries taken now! 3 Rail Trails Tour - Awesome Autumn - 9 to 17 May 2019. 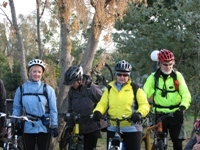 This is the Bushranger Bikes 'Signature' Tour - Rail, Wine and History Tour. Awesome in every way! Enquire & book now for this tour in 2019. 3 Rail Trails Tour - Sensational Spring - 10 to 18 October 2019. This is the Bushranger Bikes 'Signature' Tour - Rail, Wine and History Tour. Enquiries & bookings being taken Now! Sensational Spring 3 Rail Trails Tour - Victoria Enquiries & bookings are being taken now! 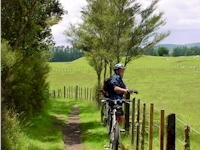 New Zealand South Island & North Island adventure tours - Back Country Cycling Tours. **Bushranger Bikes New Zealand tours are currently on hold - however please have a look at the trip itineraries and if you see something there that interests you please contact me to discuss options. New Zealand Itinieraries - Intersted? For more info Click here for all the details by tour location, including itineraries, inclusions and cost. 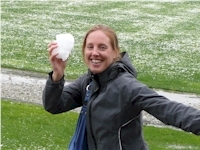 ADVENTURE CYCLING FOR ADVENTUROUS PEOPLE - Download the program - here. 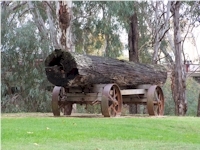 15 The 'Big Bushrangers' Birthday Bash: A modern 'Rail Trail cruise'. Friday - like to be on the trail by 9:00AM as the lunch cafe closes at 1:00PM. Decker Park 25th Ave Brighton - meet in the car park. 22 Morning/Lunch Italiano - Pizza In The Park! Friday 10:00AM - Upper Kedron Recreation Reserve car park, Upper Kedron Rd. 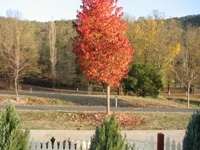 Ride the burbs, backroads & rail trail to Samford Village. A gelato &/or coffee while the Pizza is cooking, Pizza (Dominos - from $5 - bargain!) in the park, and a relaxing spin home. 12 In Memory of the Grinders Rides: Two coffee stops are better than One! Tuesday 9:30AM - New Farm Park - Rotunda area. This is a 'River Ride'. Into the city, Riverfront, Gardens, Bicentennial, Go Between, Southbank, Kangaroo Pt & first coffee at Dockside. Mowbray, Bulimba, Hamilton, Newstead, 2nd coffee & light lunch. Teneriffe and back to New Farm. This is a great ride – predominantly on bike paths with some back road sections. It promises fantastic coastal views with nice cruisy riding and great food/coffee. All the detail provided when booking. Approx. 55kms, 4 hours on the saddle. $40 per person. $50 PP if you would like a seat in the bus - limited numbers. 02 Landsborough - Ewen Maddock Dam 2 Trails Ride: - including Dularcha NP & a spin on the rail trail to Mooloolah (including the tunnel) - an easy half day on the mountain bike! Tuesday - 7:30AM from Ferny Grove or 9:00AM at Landsborough. The new route I'm proposing avoids most of the hills - yahoo! Expect hard packed and mostly easy riding - some sandy sections will require a little care. Coffee at Mooloolah and lunch back in Landsborough at rides end. $30 per person. $40 PP if you would like a seat in the bus - limited numbers. Friday 1:00PM The usual spot at Warburton PK, Wellington St Banyo. Toilet available. This will be the longer route as per the last Brews ride - Downfall Creek, Cabbage Tree Creek, Wetlands or new Gateway Arterial, back to Banyo. There are a few hills! Two Brews - consumed in a responsible manner! Wednesday 9:30AM - Upper Kedron Recreation Reserve car park, Upper Kedron Rd. Ride the burbs, backroads & rail trail to Samford Village. Includes a loop ride through the Samford Avenue of Honour. A gelato &/or coffee (ANZAC Biscuit) in the village before a leisurely spin back. 01 Wam! Wam! Wam! Man! 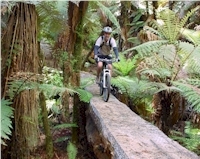 - Explore Wamuran Rail Trail - MTB. Including Caboolture to Wam! The final details for this ride are still being worked up. I may have to enlist the services of Wam Guru - 'Pulse Pasta Rob'! Wednesday 7:45AM from Ferny Grove or 9:15AM at Golden Beach Caloundra. Coastal pathways through Bulcock Beach, Kings Beach, Shelly Beach, Moffat Beach, Dicky Beach, Currimundi Lake, Wurtulla, Kawana and on to Pt Cartwright - it doesn't get any better! Coffee stop on the way up, lunch at Pt Cartwright. 29 Love the World, Love Yourself - Let's Go Vegan! Wednesday 9:15AM Riawenna Street Park, The Gap. Ithaca Creek (called Brisbane River on Google Maps?) - yes - up Monoplane St, and following the Creeks corridor into Kelvin Grove for a loop around Urban Village. Breakfast & Enoggera Creek corridors on the way back with a footpath diversion for an early lunch at a brand new, very nice Organic/Vegan 'only' cafe! Tried it yesterday and I'm still alive! Monday 7:30AM Upper Moora PK carpark, Shorncliffe. Ride the beachfront north, over the Ted Smout and through Woody Pt to Redcliffe and Banjo's Bakery for Breakfast. Let it settle and step back in time with a walk through the Bee Gees Way. Back on the bikes and spin up to Scarborough with a lap around the harbour and then return. Approx. 40kms with options for extra. Local Southeast Queensland stuff....always new rides and dates in the planning so check out the site regularly and/or sign up to receive Bushranger Bikes Newsletters - Click Here. Half day, full day & Short Break adventure rides are back on the calendar - keep an eye out for newsletters and also updates on the web site. The theme - Cycling Fun - Rides to 'Beat the Boring'. More about these Bushranger Bikes rides Click here. 1. Still looking for available dates to run a Bushranger Bikes ride between school holidays and other commitments, two or three night trip to the Noosa Hinterland to ride some of the Noosa Trail Network. It's certainly dry enough at present so the trails are will be in awesome condition. Mid 2019? 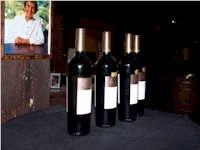 - Watch for dates and info out in a newsletter soon. NOTE: These are mountain bike trails - not necessarily technical but some big climbs that can be testing if moutain biking/off-road cycling is not something you do a bit of. These trails are great, views brilliant, location awesome but expect to get off and push some sections and be tired at days end! There will be some hotel accommodation (comfy but not 4 star) available and plenty of camping options for rigs & tents. 3. Kingaroy to Kilkivan Rail Trail - possible 2 to 4 nights - exciting itinerary! 2 nights camping, 1 night camping or cabins, 1 night at a country pub! Details out soon. Recon and test trip done, now for the fun - tour itinerary to follow. I will keep everyone posted and send an e-mail newsletter out to everyone who is signed up. Want to make sure you don't miss any of the Bushranger Bikes adventure cycling programs? Sign up for Bushranger Bikes Newsletters - Click Here. 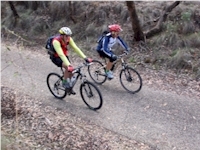 Bushranger Bikes Rides & Tours - Amazing recreational cycling adventures to amazing places! More information and details are available through the 'Tour' pages on my web site - click here - or on request - e-mail info@bushrangerbikes.com.au Limited spaces are available so act now! Wear suitable clothing and footwear for the activity, bring drinking water and money for a coffee stop. Requirements: No bookings required unless you need to hire a bike. Bring your bicycle and helmet if you have one otherwise phone Jon @ Bushranger Bikes on 0409 053 694 E-info@bushrangerbikes.com.au to organise equipment - $15 hire per bike.